This is outstanding. There are many factors affecting these young people’s success, but parents at the school’s Parent Council AGM commented that these success stories are ‘a credit to Broughton’. Music School students, Mia Scott and Freya Ruuskanen performed at a Viking Music Festival in Norway, in April 2016. A video of their performance is available to watch. A letter of praise from a parent was receivedfollowing the Stockbridge Primary School Ceilidh on 20 May 2016, at which Music School students, Mia Scott (herself a former Stockbridge PS pupil), and Freya Ruuskanen, played a live set. Mia and Freya had just returned from Norway where they represented Scotland in the Arctic Youth Festival. Mia plays fiddle and Freya plays Cello and they have a couple of sets of Norwegian/Scottish traditional tunes they have arranged themselves for violin and cello. Former music school student Helen Grime’s composition ‘Fanfare’ launched Sir Simon Rattle’s first London Symphony Orchestra concert at the Barbican on September 14. This is a tremendous honour for the ex-Broughton student who was commissioned to write the piece to herald the Maestro’s return to the United Kingdom. Rattle is patron of The City of Edinburgh Music School and has been Principal Conductor of the Berlin Philharmonic since 2002. Helen was a pupil at TCoEMS from 1990 to 1998. For the final outcome of sixth year student Zoe Laxton's Scottish Baccalaureate Project in Social Sciences, she designed a website . Incorporating her studies in Psychology and History, the site investigates the effects of outdoor play on children's wellbeing. It aims to encourage outdoor learning and highlights the positive impact of getting children outdoors to explore nature. Former Broughton student, Ruby Zajac received a first in her joint honours French and Spanish degree at Cambridge. Well done, Ruby!! 3rd year student, Josh Hand won a World Title in Tae Kwon Do in July,during the summer holidays. This year the TAGB World Championships were held in Birmingham. Josh competed in the Boys Black Belt Heavy Weight Division: an extremely tough division as this is the highest level in juniors before moving up to cadets. His division lasted over 3 hours and he had 11 fights in total before receiving his Gold medal. Following the visit of S3 students to the Lyceum Theatre on Monday, 30 November to see the Christmas production of The Lion, The Witch and The Wardrobe, our 3 day Narnia Project is well underway. Special thanks to the Broughton Association and the Lyceum for funding this project. You can see some more pictures from the project on Day Two, here. 5th Year student Lucie Duffy represented the Lothian Region at the UK Youth Parliament sitting at Westminster on 13 November. Read the full story here. Josh Hand competed at the TAGB Scottish Open Championships at Meadowbank on Saturday 12 September. As usual competition was fierce with competitors coming from all over Britain and further afield in Europe. Josh won a third place, bronze medal in the Boys Black Belt Heavyweight Division and a third place, bronze medal for Tag Team in the same Division. 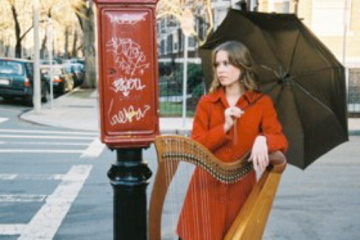 Read about harpist, Maeve Gilchrist, a former City of Edinburgh Music School student in the Boston Globe . Broughton student, Chelsea Rice, has recently achieved her target of raising £1000 to fund her upcoming trip to Canada. You can read a letter of commendation and thanks from Lothian and Borders Battalion Army Cadet Force regarding her efforts, here. The Red Card Creative Competiton. 1st year pupil, Josh Hand is following in his big brother, David’s footsteps. The family travelled to Worcester on Sunday (22 March) so they could both compete at the TAGB English Championships. As usual, competition was fierce, and Josh had just moved into the Boys Black Belt Heavy Weight Division, so was the smallest and youngest in this division! He fought extremely well and ended up with third place. A great achievement for him and testament to what training hard can do. David got Second Place in his division, just being pipped to the post. Broughton High School is delighted to share the news that three of our pupils have been chosen to represent Scotland at Gymnastics. These girls only started developing their interest in gymnastics earlier this year under the tutelage of Miss Deans, who is very proud of the way the girls have progressed. See the extract from the letter confirming the selection here. Let me thank you again for your warm welcome, et the time spent with us last week. We were very much impressed by the breadth and ambition of the Broughton school. Getting to understand how a school is run and funded was very useful for the work we carry out. Please extend my thanks to the head girl and the head boy who took us around. A competition to produce artwork for Edinburgh's annual Christmas Tree Festival was recently held and the winning designs were by some of our 1st year students. You can read more about it here. From June to October 2014, the National Galleries of Scotland Education Department, teamed up with sighted and visually impaired students from Drummond Community, Broughton and Ross High Schools, Musselburgh Grammar School and the University of Glasgow, in exploring the GENERATION exhibition. This ebook presents the fantastic work our students prepared and created in exchanging knowledge on contemporary art between sighted and visually impaired younger students. Victoria Sturgeon, Harriet Johnston, & Kirsty Hughes all did a wonderful job and found it a very worthwhile project to be a part of. Click here to read a 5th year student's account of attending the #bigbig debate at Glasgow's Hydro in September, in advance of the Independence vote. Former student, Ewan Hambelton, gave his views on Scottish Independence in the French newspaper Liberation. You can read the article here .